Bond’s hotel where he first sees fellow guest Auric Goldfinger. Also the location of the famous death scene of Jill Masterson. Road where Tilly Masterson attempts to shoot Auric Goldfinger but instead, narrowly misses James Bond. It is located in the Swiss Alps and connects Gletsch in the Valais region with Realp in the Uri region. Posing as diamond smuggler Peter Franks, James Bond first meets with Tiffany Case in her apartment to investigate the diamond smuggling ring. In the movie, we first see Bond’s car going over the bridge outside the apartment. Shots of the exterior of the apartment are then shown in day and night scenes. The apartment’s address is 3rd Floor, Reguliersgracht 36, Amsterdam. The Magere Brug is a bridge over the Amstel Canal in Amsterdam. The current bridge was built in 1934 and appears in Diamonds are Forever. The scene in the film featuring the bridge begins with a tour boat cruising along the canal with the tour guide being heard describing the history of it. The tour guide is interrupted however when when the body of diamond smuggler Mrs. Whistler is being removed from the canal. We then see a shot of Mr. Wint and Mr. Kidd standing on the Magere Brug posing as tourists and observing the events. Features in A View to a Kill and briefly appears in From Russia With Love. In A View to A Kill, Bond meets with French private detective Achille Aubergine in a restaurant in the Eiffel Tower to investigate the suspected drug doping of Max Zorin’s race winning horses. During the dinner, Aubergine is murdered by a masked assasin who Bond gives chase to until the assasin escapes by parachuting from the Eiffel Tower. Bond then leaves the tower by jumping on to the top of a passing elevator. 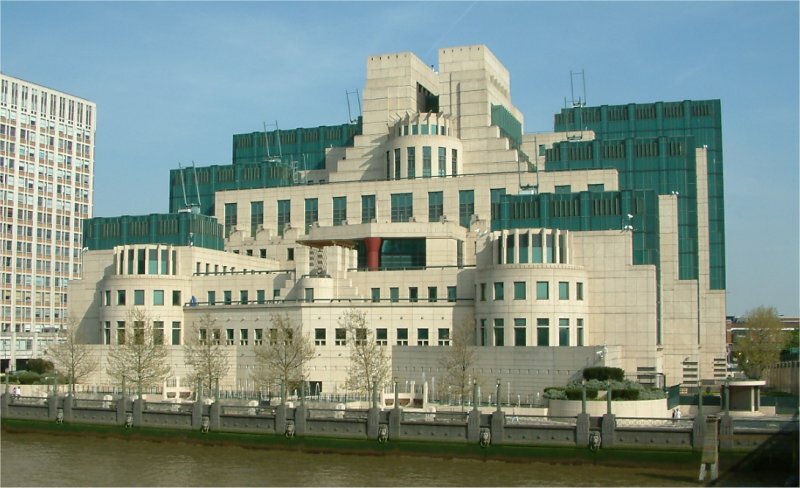 An exterior shot of the tower is also seen when Bond commandeers a taxi parked outside and continues pursuit of the assasin.